The meaning of Keyword search volume is a number of searches coming in search engines for a particular keyword. Mostly the keyword search volume can be analyzed in a customized form connected with time span and location. It is a keyword search volume or a number of searches for a keyword coming in search engines during a particular time span period. It is a possible number of searches coming in search engine for a particular keyword with in location. Most of the keyword tools provide results connected with time span period and location. For example, Google keyword planner provides results based on the number of searches coming in Google search engine in a particular location, region & country. 99% of keyword tools provide search volume based on its historical data, keyword search trends statistical comparison etc. A blind usage of these keyword tools does not guarantee any success result in Search engine optimization and search engine marketing. 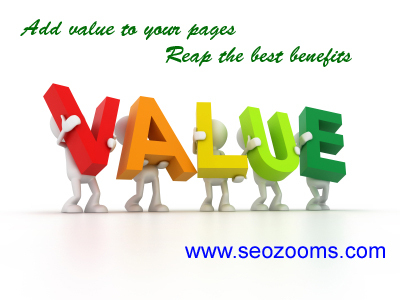 Keyword research done by a marketer should be in a logical manner. The exact purpose of marketing campaigns may differ. By doing SEO for a website, you can select keywords which have a huge number of demand & search volume. In search engine marketing especially advertisement programs like Google Adwords also a big demanding keyword may be selected. Selection of high volume keywords for your campaigns can bring more people to your page. Users may buy your product depending upon the conversion possibility. Because of the conversion possibility also differ from keyword to keyword. Logical usage of keyword selection helps the marketers in understanding the business conversion possibility of a keyword. Instead of selecting high volume keywords which have fewer conversion chances, usage of long – tailed potential keywords are useful for a campaign planned for aiming business conversion. If you have spend more hours using many paid and free keyword tools and not able to find an adequate keyword which can be added to your potential keyword list, check this post about tips for identifying potential keywords.